According to the American Thyroid Association, one in eight women will develop a form of thyroid disease. Are you one of them? I was shocked at my own diagnosis a few years ago. According to Dr. Eric Regier, about 96% of cases of a bloated stomach are due to SIBO. SIBO is Small Intestinal Bacterial Overgrowth. There should be a very small amount of bacteria and the small intestine, and a large amount in the large intestine. Due to the reasons we’ll cover below, an overgrowth of bacteria in the small intestine can occur. Symptoms of SIBO include: bloated stomach, gas, abdominal pain, constipation and/or diarrhea. This is the function that sweeps the small bowel, and dysfunction is due to, usually, food poisoning, but can also be due to hypothyroidism, c difficile, Lyme bacteria, opioid use, antibiotic use, or giardia. In cases of food poisoning, the toxins produced by the poisonous bacteria damage the nerves that facilitate the migrating motor complex. The body can then create an antibody against this toxin. But unfortunately, at the same time, it will produce an antibody against a protein that helps keep the tight junctions of the intestine tight. When this protein is attacked, you can end of with chronic leaky gut. These are often due to surgical adhesions, endometrial adhesions, fistulas, or diverticula. Acid kills bacteria. 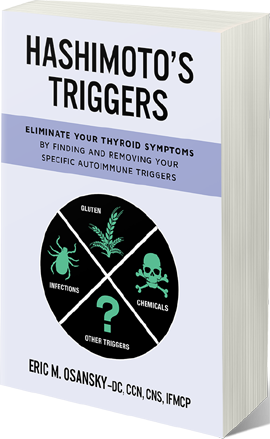 Unfortunately, stress, hypothyroidism and use of acid-blocking medications can all hinder this process. If this valve between the small and large intestine is absent or not working, bacteria from the large bowel can backflow into the small intestine. The valve can be irritated by ‘stimulating’ foods like coffee, tea, soda, spicy food, sugar, chocolate, processed foods and popcorn. According to Dr. David Williams, Saccharomyces cerevisiae in the form of lactic acid yeast wafers can help for diarrhea symptoms related to SIBO. According to Dr. Craig Maxwell, Magnesium Chelate and a good probiotic can help. Also local massage for a few minutes on your right lower abdomen about 15 degrees and down from your hip bone can help. SIBO has a cousin called SIFO (I’m not making this stuff up!) which stand for Small Intestinal Fungal Overgrowth. SIFO is similar to SIBO except it’s defined by an overgrowth of fungus in the small intestine. Some additional symptoms related to include: belching, nausea, confused thinking, headaches, fatigue and joint pain. If your SIBO symptoms are not going away with treatment, SIFO could be the culprit, and an anti-fungal approach with a functional practitioner may be needed. When you eat foods, the bacteria in your small intestine may be ‘fed’ as well, and the byproduct of their feasting can be gas. The bacteria that has overgrown in your gut varies from person to person. Therefore the foods that irritate SIBO vary as well. While you go through treatment, it’s important to find the foods that won’t aggravate your symptoms, and the amounts.For example, you may tolerate eating a few grapes, but not a whole bowl of grapes. The diet I most recommend experimenting with is the low FODMAP diet. FODMAP stands for fermentable oligosaccharides, disaccharides, monosaccharides, and polyols. That’s a mouthful! Basically FODMAPs are foods that contain indigestible starches, and the bacteria in your body will ‘ferment’ them to break them down. The byproduct of that fermentation is gas. If you want to avoid the gas, you can avoid the high FODMAP foods that irritate your certain bacteria, and instead choose low FODMAP foods. Monash University - The researchers at this Canadian university developed and trademarked The Low FODMAP diet. Kate Scarlata - Kate is a registered dietitian nutritionist and author who has developed some handy checklists and useful guides for avoiding high FODMAP foods. The treatment of a bloated stomach (SIBO) can be a slow and winding road due to the different causes of SIBO and the different bacteria that may be involved. But if you don’t want to live with the digestive symptoms you’re currently experiencing, it’s best to start somewhere! In my opinion, you’ll get the best results when working with a functional medicine coach. A provider can run a SIBO breath test, a stool test, and any other tests that may be needed in your case. She can get specialty supplements that may be difficult to get otherwise. And lastly, dealing with a chronic condition that may be slow to respond is emotionally draining, and having a coach to talk to can keep you moving forward. Oregano Oil- Oregano oil is the potent essential oil of the oregano plant. It can help for both SIBO and SIFO. It is often combined with other antimicrobial and anti-fungals like thyme oil and grapefruit seed extract. This is a ‘hot oil’ so you’ll need to dilute it in a carrier oil if used on your skin or take in a capsule internally. We carry a blend of thyme, oregano and other supportive essential oils in capsule form in GX Assist in our doTERRA shop. Atrantil- Atrantil is a mix of whole peppermint and extracts from the Quebracho and Conker Tree. Disable / kill troublemaking archaebacteria. You can purchase this product on our shop. Ginger- If you’ve managed to rid yourself of small intestinal bacterial overgrowth, you need to keep it clear now! Ginger can help stimulate the Migrating Motor Complex (MMC) we learned about earlier. I like this Chewable Ginger by Natural Factors. We also carry ginger oil (it’s so yummy) in our doTERRA shop. Other substances that stimulate the MMC are: 5-HTP (OTC supplement) and LDN (low dose naltrexone- by prescription only). Binders- While using good binders won’t cure your SIBO, it will sure help relieve it! Binders like activated charcoal and others (see my blogs on binders) can absorb the gas within its porous structure. Probiotics- Not all bloating is due to SIBO. Bloating can also come from a sudden change in diet, like adding vegetables suddenly or eating beans for the first time in months. Since I now rarely eat gluten-free pasta and pizza, I find that I react strongly to it and become bloated. This is why adding a good probiotic is helpful. Some probiotics will actually feed the bacteria in the small intestine and cause bloating. But spore-based probiotics will not. 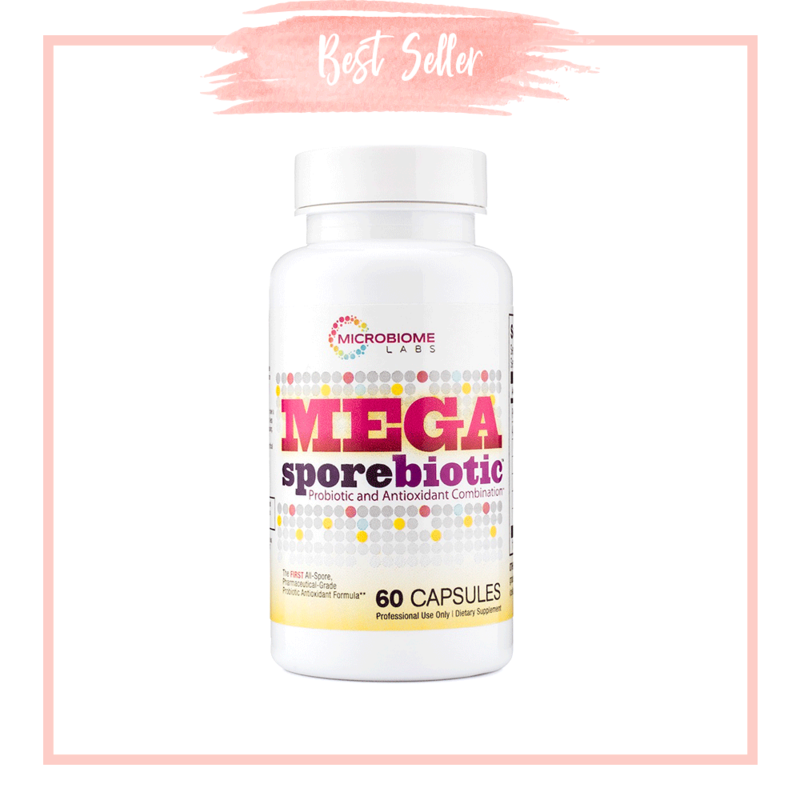 The probiotic that is our hands down favorite is MegaSporeBiotic. “I've had IBS for over 20 years and NOTHING has helped until NOW. Antibiotics and Prescription Antifungals- If you’re not having success after using herbal treatments, prescriptive options are available as well through your doctor. Though there can be a little trial and error on the road to healing your gut, the results are well worth it! Running to the bathroom, being too bloated to exercise or even move...this is not what life is about! Get a curated kit of highly effective bloating products that work synergistically for chronic bloating. Us the coupon code HEALTHYGUT15 for $15 off now. These three products work synergistically to eliminate the source of over 90% of chronic bloating! Each kit comes with an easy-to-follow PDF guide and 30 day money back offer through our shop. Do you have questions? Do you have tips for dealing with a bloated stomach or bloating remedies? Comment below! Dr. Darin Ingels is a naturopathic physician, clinical microbiologist and immunologist with a speciality in Lyme disease. He previously came on to the show to talk about mold and has authored the book "The Lyme Solution". My early career in medicine began as an acupuncturist. I went to school in a converted old house in New Mexico, with chickens in the parking lot and burritos at break time. My teachers were mostly from China, and very smart, interesting people. I learned to read the signs of the body. Puffy tongue means dampness. Frequent sighing shows liver stagnation. As I entered practice, I gave generously to my clients. I used essential oils and did massage. I counseled them on dating and workplace drama. But when I got sick, I didn’t know enough to help myself. As I looked for solutions, I found functional medicine. I didn’t know it by that name at the time, but I studied the body systems in a new way, and I studied a new body of therapeutic foods and supplements. I was fascinated with this new world and reaped some benefits in my own health. I went on to study functional medicine in a more formal way, completing the Functional Diagnostic Nutrition program. There was a rush to give supplements. There was a ‘this should be working’ attitude. There was an overlooking of me as a whole person. One of the most disappointing things for me was the lack of empathy I felt from the functional practitioners that I saw. While I’m sure that they did care, I didn’t hear it in their communication. I was really sick. I’m talking bone-tired, twitching eyelids, can’t hold a thought for two seconds sick. Beyond expensive supplements, I needed to feel heard and loved. I needed advice on how to make it through the day. I’m not saying that one functional doc is meant to be an answer to all of life’s issues! When you are seriously ill, it’s going to take a village, persistence, & a good mindset. Eventually, I found a counselor who helped me address the stress of chronic illness and the displacement caused by mold. As I struggled to figure out my illness, I had to re-calibrate my view of functional medicine. Was it not at all what I thought it was? Was it a waste of time and money? I am very thankful for my roots in Chinese Medicine and life coaching that gave me a roadmap for how things could, indeed, be better. My current practice is very progressive. It’s all online, and we run tests from mold to parasites. We have clients all over the world and use video chat and electronic intake forms. But I have embraced wholeheartedly the old-fashioned values of listening to my client carefully, of reading between the lines and seeing what’s really stressing them and letting them have a voice in how their protocols proceed. We remember to say, “you’re doing a great job,” and remind you that things will get easier. We help you deal with skeptical family members and birthday cake in the break room. We are coaches, and we help you navigate the hard parts of life. The term ‘functional medicine’ was coined by Dr. Jeffrey Bland in 1991 as he and his wife established the Institute of Functional Medicine. Dr. Bland is a nutritional biochemist and we can really credit him for establishing and advancing this field. You are not a group of symptoms or test results. You are person with a story of how you got sick, and the story of how you get well is still being written. Having a coach who truly listens and lifts you up will be an important a part of your healing journey. Are you ready for the next level of holistic functional care? Dr. Bridghid McMonagle was the first certified ozone practitioner in Oregon and has trained extensively in ozone therapies. She is certified in Wilson Temperature Protocol, Prolozone, Major Autohemotherapy, LENS neurofeedback system, and IV therapy. In this episode we talk about ozone therapy, PRP (Platelet Rich Plasma), and heavy metal detoxification. Diane Sanfilippo is a Certified Nutrition Consultant and New York Times bestselling author of Practical Paleo. Her new book, The 21-Day Sugar Detox Daily Guide was released recently in January 2018. In this episode we talk about sugar addiction, changing health habits and taking charge of your health. Ann Melin is our lead health coach at Women's Wellness Radio and a certified Holistic Health Practitioner, Clinical Nutritionist, a Clinical Master Herbalist, and a Functional Diagnostic Nutrition® Practitioner. In this episode we talk about gut health, gut infections, and the best treatment protocols. Check out our coaching program to see if it is a fit for you. Learn about our protocols for toxins testing here. Here are more resources, outlining our testing protocols for other nasty gut issues, including SIBO, parasitic infections and Candida. If these talks resonated with you and your case, we’d love to get to know you better! 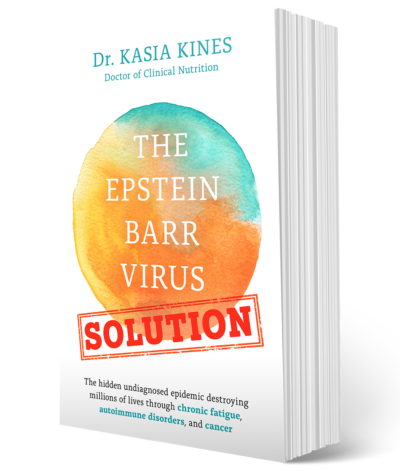 If you have not joined our free newsletter, be sure take our "Is a Gut Infection Causing Your Hormonal Imbalance" quiz here, and come on board! We have lots of valuable, free resources for women's health we share weekly.